Joel Meyerowitz, tutti i libri. Cape Light, Joel Meyerowitz’s series of serene and contemplative color photographs taken on Cape Cod, Massachusetts, quickly became one of the most influential and popular photography books in the latter part of the twentieth century, breaking new ground both for color photography and for the medium’s acceptance into the art world. Now, over thirty-five years later, Aperture is pleased to bring back this classic collection in its original form. The book features all the now-iconic images of the original edition, newly remastered and printed as never before. In it, everyday scenes―an approaching storm, a local grocery store at dusk, the view through a bedroom window―are transformed by the stunning light of Cape Cod and the luminous vision of the photographer. Meyerowitz is a contemporary master of color photography, and through his eyes small-town life on the Cape is imbued once more with a powerful and captivating beauty. Taking My Time is the first career retrospective on the work of renowned and influential American photographer Joel Meyerowitz (b.1938), including over 550 famous and previously unpublished photographs spanning his extensive 50-year career. Edited and sequenced with the photographer, this large-format publication comprises two volumes in a slipcase with special inserts. It includes photographs from Meyerowitz’s complete oeuvre, including his colour and black and white street photographs from the 60s and 70s, the Cape Cod seascapes, his landmark images documenting Ground Zero after 9/11 and, more recently, his work in Tuscany and on the parks of New York City. Arguably one of America’s greatest photographers working today, Meyerowitz is best known for his spontaneous photographs of the streets of New York from the 1960s and his pioneering photographs of colour, light and space. Instrumental in changing the attitude towards the use of colour photography from one of resistance to nearly universal acceptance, he is an innovator and teacher, inspiring a younger generation of photographers. Focusing solely on the arch, this colorful book gives readers an immediate and intimate portrait of Eero Saarinen’s monumental sculpture with a brief history of the engineering and architectural feats behind the building of this famous catenary arch. 37 color illustrations. An introduction to the major themes and the key images of American photographer Joel Meyerowitz, illustrated with 55 chronologically presented images that offer a fresh insight into his career. After the destruction of the World Trade Center in New York on September 11th 2001, the world-renowned photographer Joel Meyerowitz felt compelled to visit the site, to document and record the aftermath of the largest ever attack on US soil. Although initially turned away by police (on the grounds that the site was a crime scene and could not be photographed), Meyerowitz was determined to gain access to the area. Within days he had established strong links with many of the firefighters, policemen and construction workers contributing to the clean up. With their assistance he became the only photographer to be granted unimpeded access to Ground Zero. Once there he systematically began to document the wreckage followed by the necessary demolition, excavation and removal of tens of thousands of tonnes of debris that would transform the site from one of total devastation to level ground. Soon after the Museum of the City of New York officially engaged Meyerowitz to create an archive of the destruction and recovery at Ground Zero and the immediate neighborhood. The 9/11 Photographic Archive numbers in excess of 5,000 images and will become part of the permanent collections of the Museum of the City of New York. Joel Meyerowitz’s colour photographs of the ocean’s edge are gathered in this gift book. Since 1976, he has been photographing Cape Cod Bay during all hours of the day – from first light to dusk and beyond – capturing the contemplative mood created by light, air and water. Meyerowitz explains that his photographs “intensify the beauty of the shore by eliminating things that were somehow unnecessary”. Although the images in this edition are drawn from Meyerowitz’s body of photographs taken on Cape Cod, they also evoke the magic of summer anywhere where land, sea and sky unite. Joel Meyerowitz è un fotografo pluri premiato, il cui lavoro è apparso in oltre 350 mostre in musei e gallerie di tutto il mondo. È nato a New York nel 1938. Ha iniziato a fotografare nel 1962. È un “fotografo di strada” secondo la tradizione di Henri Cartier-Bresson e Robert Frank, anche se ora lavora esclusivamente con il colore. Come primo sostenitore della fotografia a colori (metà degli anni ’60), Meyerowitz è stato determinante nel cambiare l’atteggiamento verso l’uso della fotografia a colori. 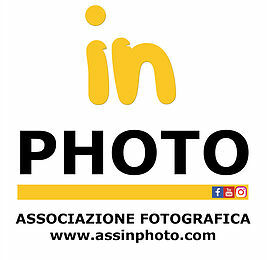 Il suo primo libro, Cape Light, è considerato un classico lavoro di fotografia a colori e ha venduto più di 150.000 copie durante la sua vita trentennale. E ‘autore di 20 altri libri, tra cui Legacy: the preservation of wilderness in New York City parks (Aperture) e il suo libro di retrospettiva, “Taking My Time”, che è stato pubblicato da Phaidon Press nel 2013.